Many people think there is a conflict between the Law of Attraction, as taught in “The Secret” and goal-setting. The belief that you should let the Universe decide how to bring you your goal seems to conflict with planning your goal strategy. However, these two approaches are compatible. Let me explain. A great majority of people believe that it is wrong to be too specific when they set goals. After viewing films like “The Secret”, which is wonderful and enlightening, some people have the false belief that being specific is the wrong approach. Many teachers in this movie guide you towards allowing the Universe to decide how you get what you want. So if we follow this approach how does setting a goal, complete with a plan for its attainment, fit into this attraction process? Well, anyone who has achieved an objective through traditional goal-setting methods is well aware that including specific details is the key to its attainment. They fully realize that being as specific as you can increases the likelihood of achieving your goal. These specifics should include completion date, a plan to follow that will lead to the achievement of the goal, stepping stone goals and highly specific details of the goal itself. For example, you may set a goal to have an increase in turn-over of $10,000 by the end of the quarter. You immediately devise a plan to increase sales and begin to build your goal steps by setting smaller goals that will lead to bigger goals that will lead to the attainment of your desired outcome. So how does this fit into ‘The Universe knows the best way’ approach offered by most law of attraction experts? Well it’s really very simple. When these teachers talk of not getting caught up in the specifics they do not mean the goal itself. They are referring to the delivery method of the goal. The Law of Attraction is always responding to your personal vibration. Your vibration is affected by what you think and how you feel. So if you get specific in your goal and even set time-limits for specific tasks then the Law of Attraction is responding to those thoughts and the feelings associated with them. By staying focused on the specifics your desired outcome and feeling very positive emotions about it and the attainment of it, you are adding tremendous power to the workings of the Law of Attraction. As long as you don’t feel negative about your goal, or the plan you have devised, goal-setting like this can be very powerful. However, if you set your aims too high, or make your goals unrealistic, then the Law of Attraction will work against you! You feel overwhelmed, doubtful and stressed. The Law will respond to this and your attraction vibration will be the opposite of what you want. By over-stretching yourself you will get negative thoughts and feelings about your goal. But by setting realistic goals, that do still stretch you, you can fully utilize the Law of Attraction to your advantage. One key element of the Law of Attraction is that you always get more of what you focus on. Placing your attention on certain things consistently makes them grow and expand. So, by setting goals and working a plan to achieve it you are actually focusing your energy, thoughts and emotions towards that of the desired objective. By having set time-limits for the achievement of each step of your goal and the goal itself your thoughts, energy and feelings are also focused in that direction. Thus you are following one of the fundamental rules of the Law of Attraction – what you put our attention on expands. However, don’t get caught up on the one channel of distribution. Be open to the universe bringing you your goal any way it sees fit! You can still be specific about your plan but remain flexible and look for other opportunities. The key is to always remain focused on the goal itself and not on the lack of it! You must also ensure you do not get frustrated if it appears that you may not reach your goal in the time-limit you specified. These are draw-backs of goal-setting as far as the Law of Attraction is concerned. However, they can be over-come. Set realistic easily managed goals at first. Once you become proficient at goal-achievement you can start to stretch yourself a little more each time. As you begin to see overwhelming evidence that the Law of Attraction exists and that it is working in your favour you will be able to set you goals higher and bigger until there is nothing you cannot achieve. Remember that when you reach for a goal to generate as much positive thoughts and feelings you can as they will ad power to your efforts through the Law of Attraction thus attracting more and more things to you that will get you closer and closer to your objective, until finally it falls in your lap! Not all souls have large amounts of confidence and many of them don’t know the importance of it. 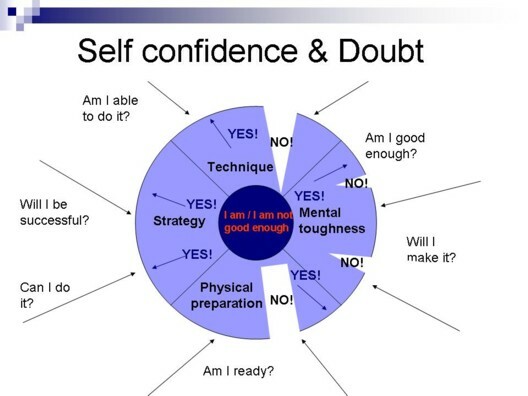 Personal confidence coaching makes you secure in terms of your personal confidence and well being. It gets you stronger with relationships, with your partner as an example. It is the one that makes you prosper for the formation of yourself, the expansion of your job, or the one that makes your life pleasant. So if you want to gain felicity, self esteem and confidence, it best to begin forefend thoughts that are bitter and act as you should. You must be pleased with who you are and love yourself. Focus on your ability and not your weaknesses. You must know the origin of the troubles you’re having with yourself to be capable to know what you can really do. Have you ever thought of the lifetime that you’ll be having in the future? Rather than simply trusting your imaginativeness that can inevitably be changed or be gone any time, drawing or writing your plans for yourself can be to a greater extent assuring. You can focus on what you hold, you have just drawn or written – whether it consists of making a family unit of your own or getting the business that you had perpetually dreamed of. You, must have felt physical or emotional hurt that have nearly made your world to stop turning. This might have been produced by your former better half, friends, oppositions or even yourself. You can never find happiness without burying those tough memories, so begin moving on. The beginning stride in moving on for the life you desire is to pioneer a plan. Live each day by agreeing with the values and esteem yourself once more to gain self-assurance and peace. Life coaching can assist you with all the measures that are written above. A life coaching expert can give you a vast amount of assistance with personal career coaching and confidence coaching. You’ll be guided with the recognition of your negative views and behaviours that play a key role in your awkwardness in matureness and personal growth. Those negative views will be gradually resolved, for you to be fit to find the real you that’s been hiding all along. Your life will be adjusted along with your habits and values. Which Area Of Your Life Do You Want To Transform In 2010?